Garlic, commonly known as Allium sativum, is native to central Asia, and has long been a staple in the Mediterranean region. Garlic is one of the most important ingredients in modern cuisine around the world. The flavorful and pungent bulb is a member of the genus, Allium, which includes onions, shallots, leeks, chives, and Chinese onion. The bulb is covered with an inedible papery skin, which is then separated into individual cloves when cooking. Depending on the dish, cooks and chefs serve garlic raw or cooked with fresh garlic delivering overpowering flavor and the cooked or roasted form being mellow. The strong taste and smell come when garlic is chopped or crushed. An enzyme called alliinase converts alliin to allicin, responsible for the fresh garlic aroma. Garlic is top of the list when looking at well-researched superfoods. Adding a few cloves to your daily diet could help your health. 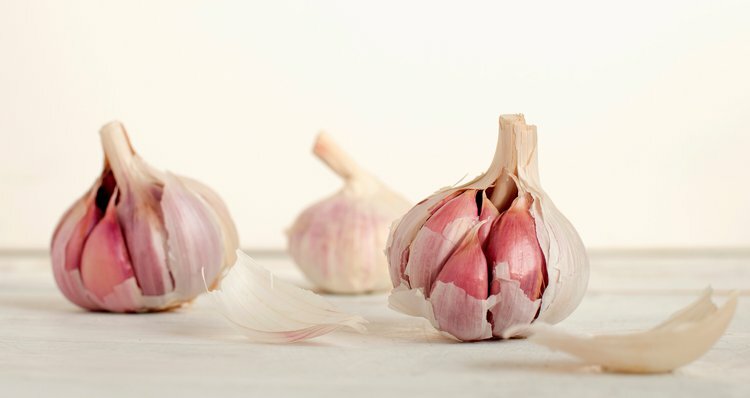 Here are the seven health benefits of garlic. 1. Garlic could help reduce the risk of heart disease. Heart disease is a range of conditions that affect your heart including but not limited to diseases like coronary artery disease, heart rhythm problems, cerebrovascular disease, and rheumatic heart attack. According to the World Health Organization, heart diseases account for 31% of all deaths globally. Four out of five heart disease deaths are due to heart attacks and strokes with the majority being preventable with proper diet and exercise. Garlic supplementation has shown to potentially provide heart protection. 2. Garlic may possess cancer prevention properties. Popular sulfur-containing vegetables like garlic, onions, shallots, leeks, and chives may have medicinal properties in preventing cancer. These vegetables also contain a variety of bioactive compounds like flavonoids, oligosaccharides, arginine, and selenium. Recent meta-analyses showed that garlic consumption in large amounts could reduce the risk of stomach cancer and colorectal cancer. Other studies have found that raw garlic or onion consumption at least one time per week is correlated with lower esophageal cancer. 3. Garlic could help prevent colds and infections. Children and adults have six to eight and two to four cold per year respectively. Researchers conducted a meta-analysis of the effect and found one in five studies to show promising results. The study with 146 participants who took garlic every day for three months had fewer colds. The study suggested large, randomized studies. 4. Garlic could help treat type two diabetes. Diabetes is a long-term metabolic disease characterized by raised levels of blood glucose or blood sugar. This elevated blood sugar levels could cause damage to the heart, blood vessels, eyes, nerves, and kidneys. According to the World Health Organization, 1.6 million deaths are directly responsible for diabetes each year. Garlic has shown to regulate blood sugar levels. Research has suggested that type 2 diabetes patients who consumed garlic significantly improved blood cholesterol levels, with a reduced total and LDL (bad) cholesterol and a moderately increased HDL (good) cholesterol compared to the placebo. 5. Garlic could help reduce blood pressure. A review with 970 participants suggested that garlic supplements could lower blow pressure in hypertensive individuals. 6. Garlic could health fight off Alzheimer’s disease and dementia. Alzheimer’s disease is a long-term neurodegenerative disease where symptoms like the following worsen with time: language problems, disorientation, mood swings, and short-memory loss. Garlic could have neuroprotective properties with its active compound called S-allyl-L-cysteine (SAC). 7. Garlic could help treat acne. Garlic contains an organic compound called allicin. Research has suggested that allicin could help stop the damaging effects of radicals and kill bacteria. This can help treat acne scars, skin diseases, and allergies. Varshney, R., & Budoff, M. J. (2016). Garlic and heart disease. The Journal of nutrition, 146(2), 416S-421S. Zhu, B., Zou, L., Qi, L., Zhong, R., & Miao, X. (2014). Allium vegetables and garlic supplements do not reduce risk of colorectal cancer, based on meta-analysis of prospective studies. Clinical Gastroenterology and Hepatology, 12(12), 1991-2001. Chen, Y. K., Lee, C. H., Wu, I. C., Liu, J. S., Wu, D. C., Lee, J. M., ... & Hung, H. C. (2009). Food intake and the occurrence of squamous cell carcinoma in different sections of the esophagus in Taiwanese men. Nutrition, 25(7), 753-761. Lissiman, E., Bhasale, A. L., & Cohen, M. (2012). Garlic for the common cold. Cochrane Database Syst Rev, 3. Ashraf, R., Aamir, K., Shaikh, A. R., & Ahmed, T. (2005). Effects of garlic on dyslipidemia in patients with type 2 diabetes mellitus. J Ayub Med Coll Abbottabad, 17(3), 60-4. Ray, B., Chauhan, N. B., & Lahiri, D. K. (2011). Oxidative insults to neurons and synapse are prevented by aged garlic extract and S‐allyl‐l‐cysteine treatment in the neuronal culture and APP‐Tg mouse model. Journal of neurochemistry, 117(3), 388-402. Vaidya, V., Ingold, K. U., & Pratt, D. A. (2009). Garlic: source of the ultimate antioxidants—sulfenic acids. Angewandte Chemie International Edition, 48(1), 157-160.